Tens of thousands of pounds has been raised for transgender charity Mermaids, thanks to a Twitch streamer playing Donkey Kong 64 for an entire day. HBomberGuy (Harry Brewis), a popular UK-based content creator who has more than 300,000 subscribers on YouTube, came up with an unlikely way to raise money for the embattled transgender children’s charity, which recently had part of its lottery funding suspended after a campaign from anti-trans activists. In a video, Brewis explained that he would be streaming a non-stop play-through of Donkey Kong 64, playing the game until 101% completion—a famously difficult feat in the Nintendo 64 game that can take upwards of 30 hours to achieve. The YouTuber added: “I chose Mermaids specifically, because when they were designated some funding via the National Lottery, Graham Linehan, a comedy writer who did some work on a good show 20 years ago, a very normal man who is very angry about trans people all day nowadays, went on Mumsnet and told them to email the National Lottery en masse. The charity stream began on Twitch on the evening of January 18, and is still going with no end in sight. So far, generous viewers have donated $160,000 (£125,000) to Mermaids via the stream. Mermaids thanked HBomberGuy for the gesture. 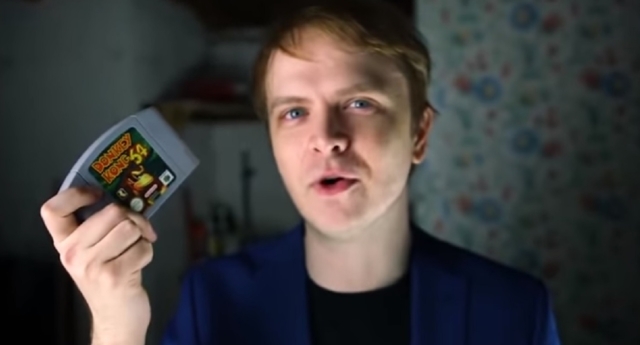 The charity said: “We’ve just woken up to see that @hbomberguy has been playing Donkey Kong all night to raise money for Mermaids and is still playing! “So far he’s raised a staggering $26,000 and still has hours to go! The stream has been met with love from trans people and allies. Others reminded the streamer to drink water and eat food during the stream to avoid death. Transgender whistleblower Chelsea Manning is among those to have thanked HBomberGuy, even making a guest appearance on the stream. She tweeted: “More gave @Hbomberguy tips on how to finish beaver bother on donkey Kong 64 for #mermaids trans powers charity drive 🎮😂🌈. This article was updated on January 20 to reflect the increased funding total.